Wow it’s been a while since I’ve been on my blog and the withdrawal effects are in full swing! So now I’m trying to do my work on a friend’s iPad and it’s not as easy or fun as everyone always says it is. 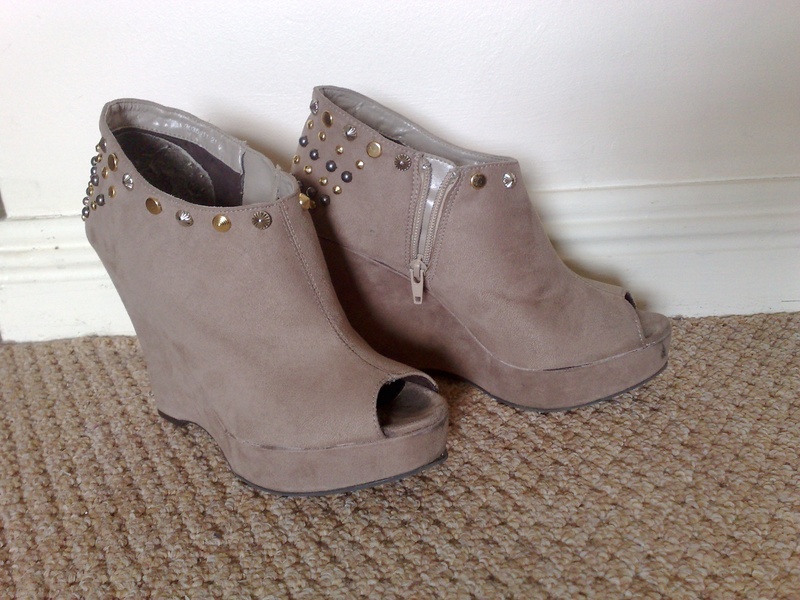 Well in between clearing out my apartment over the last few days I found the mixed studs my Mum gave me years ago and I decided to do another little DIY project on a pair of wedges. I’ve had these wedges for a year or so and while I wear them, I’ve been getting a little fed up with them so I decided to spruce them up with some studs. Who doesn’t love studs and anyone who reads my blog knows how much I love my studs and spikes. I quite like the end result and this way I won’t go and spend money I don’t have on a new pair. Have a look below and let me know what you think.